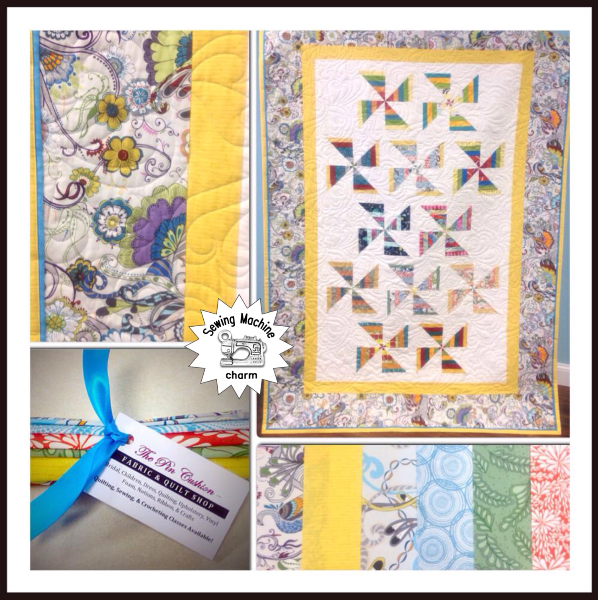 The Pin Cushion's NJ Shop Hop 2015 quilt showcases a collaborative geometric pattern of all the New Jersey participants. 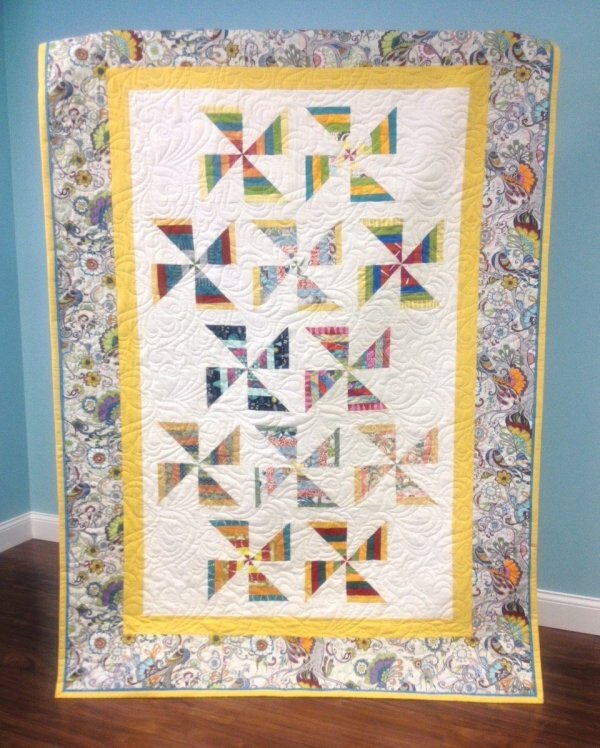 The border (along with two pinwheels) feature our favorite print from Robert Kaufman's "Quill" collection. Each of the remaining pinwheels is made from a collection of fabric chosen by the other participating quilt shops. Finished Quilt: 60" x 82"